If the gain is long-term, they can be exempted from tax, if you invest the sale amount to either purchase a house within two years from the date of sale, or construct a house within three years from the date of sale. 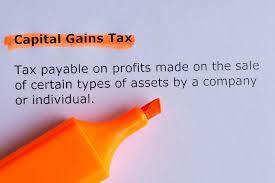 If the entire amount from the sale is invested, the entire capital gains shall be exempt, otherwise, the tax benefit will be to the extent the sale amount is invested. Also, if the new house is sold within three years from its date of purchase, the capital gains will become taxable. You can also choose to invest the capital gains within six months from the date of sale of the property in the bonds of certain specified companies—National Highway Authority of India, Rural Electrification Corporation, etc. The sum that you can invest in these bonds is capped at Rs 50 lakh. If these bonds are held for less than five years, the capital gains will become taxable. It is not clear whether this reimbursement is from your previous employer or from a medical insurance policy. From 2018-19 onward, any medical reimbursement received from one’s employer will be included in the person’s taxable salary. At the same time, the government has introduced a standard deduction of Rs 40,000 from one’s taxable income. So, reimbursement of medical care expenses will be considered as income. However, you will be able to claim a standard deduction of Rs 40,000. But if the reimbursement is from an insurance policy, then the amount will be exempt from tax. Income Tax Returns you should file or Not ? This entry was posted in Income Tax and tagged Capital Gain Tax, Income Tax updates, Tax saving for Salaried.